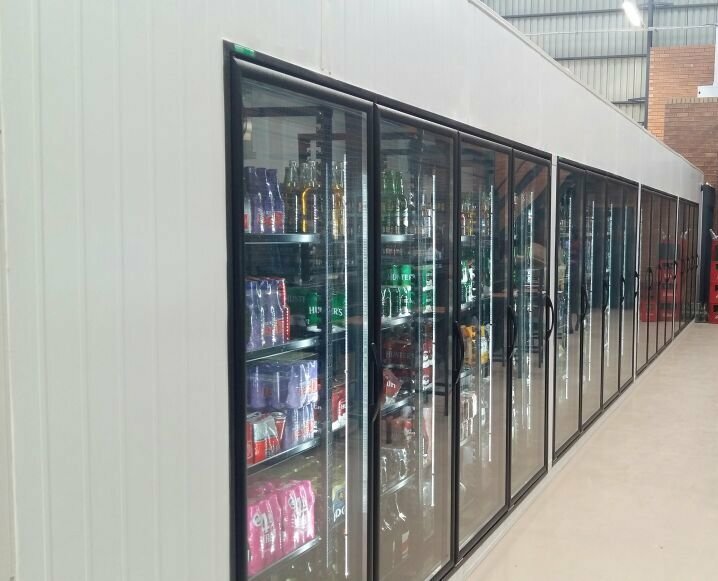 Africhill design, manufacturing and install glass door cold and freezer rooms that is very popular in liquor stores, shops and labs and even homes. 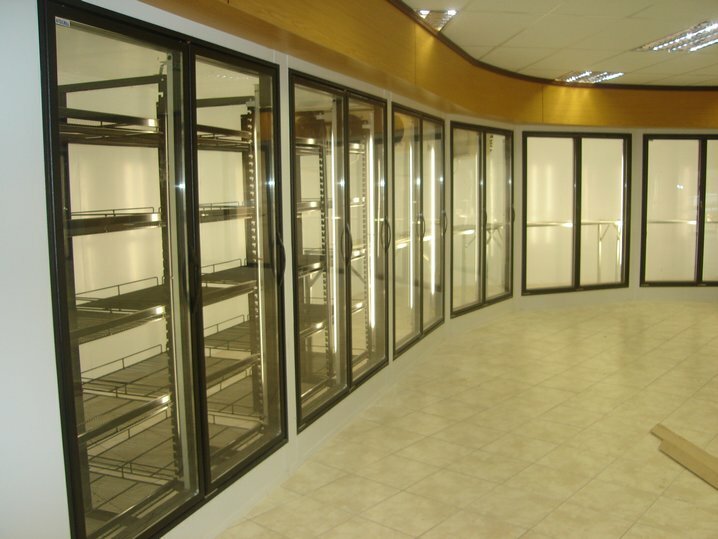 When the client give the application info to us, we design the refrigeration capacity and room to insure the client that all glass door cold and freezer rooms have sufficient refrigeration capacity for the application and ambient required. Africhill only uses architrave glass doors that is already fitted in a aluminium frame with heater and lights due to that architrave doors is more durable and looks good. Optional we offer, loading insulated doors, walk in glass doors. shelves, can feeders etc.